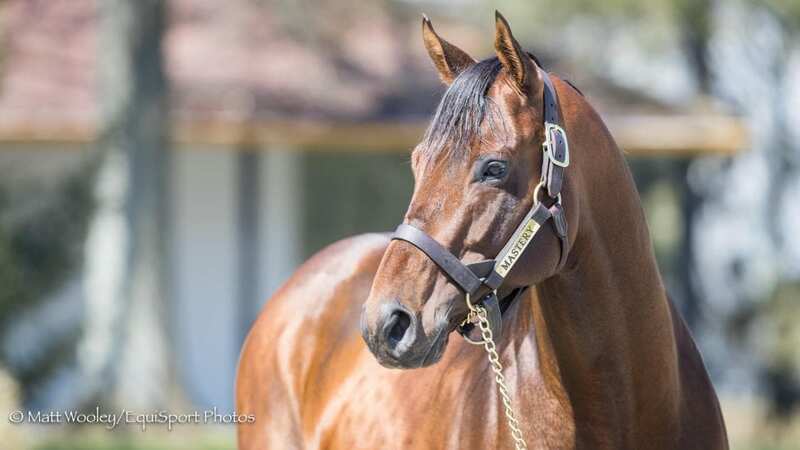 Our spotlight on new sires for 2018 shifts this week to a stallion whose promising, undefeated racing career was cut far too short by injury. With four victories from four starts, including three graded stakes wins along the Road to the Kentucky Derby, it could be argued Mastery would've been the favorite on the first Saturday in May last year. Instead, a condylar fracture forced him to be retired last summer as a unbeaten Grade 1 winner. The 3-year-old son of Candy Ride collected victories in the G1 Los Alamitos Cash Call Futurity and G3 Bob Hope Stakes as a juvenile and the G2 San Felipe as a sophomore. Bred in Kentucky by Stone Farm, Mastery was a $425,000 purchase at the 2015 Keeneland September Yearling Sale. This entry was posted in Bloodstock, In The Stud and tagged Claiborne Farm, Freshman sires, in the stud, kentucky derby, Mastery, new sires, sires, Stallions by Paulick Report Staff. Bookmark the permalink.